In 2009, J.J. Abrams resurrected the Star Trek franchise, creating an explosive new timeline for the series. After the overly somber and derivative Star Trek Into Darkness, it seemed like the series might be ready to fizzle out before it hit full thrust. Thankfully, the franchise has landed in the hands of a director who knows all about full throttle- Justin Lin of Fast and Furious fame- who delivers an adrenaline ride that’s both modern action epic and vintage Star Trek fun. We pick up the crew of the U.S.S. Enterprise three years into their five-year exploratory mission, and Captain James Kirk (Chris Pine) is feeling a little lost, if not geographically, then spiritually in the depths of deep space. They stop at the Yorktown, a brand new star base just as an alien woman arrives in an escape pod, reporting the loss of her crew on an uncharted planet. The crew embarks on a rescue mission, unaware they’re walking into a trap set by Krall (Idris Elba, Prometheus), a seemingly immortal alien who wants to use an ancient weapon stored aboard the enterprise to plunge the Federation into chaos. As premises go, it’s a bit old hat. The film can, at times, feel less like a big budget franchise film and more like a week’s episode of Star Trek played out on a massive scale. Even Krall’s motivations feel somewhat derivative of General Marcus’s warmongering in Into Darkness. 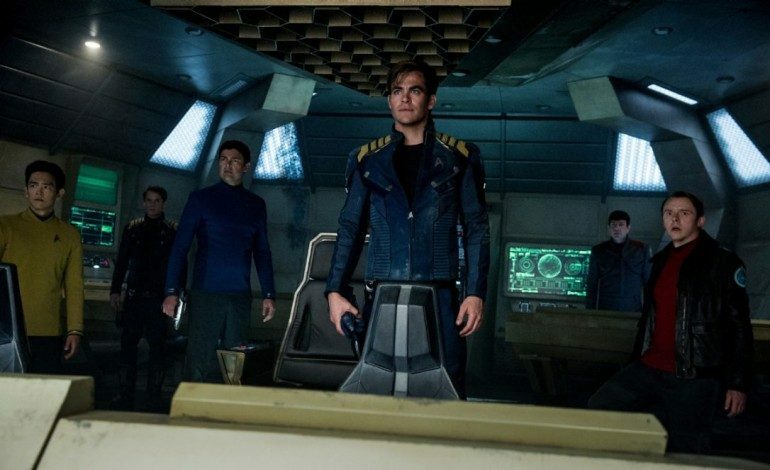 Star Trek Beyond finds itself in the same quagmire that all franchises eventually do – how do you stay loyal to the spirit of the series but also break new ground. Justin Lin and screenwriters Simon Pegg (Shaun of the Dead) and Doug Jung (Confidence) have a pretty simple answer: walk down a well-worn road, but do it with style. The film benefits from a refinement in scope. With the Enterprise destroyed and the screw stranded on a hostile planet, Beyond spends a lot less time on hyperspace jet setting and more on the characters that make Star Trek the beloved franchise that it is. 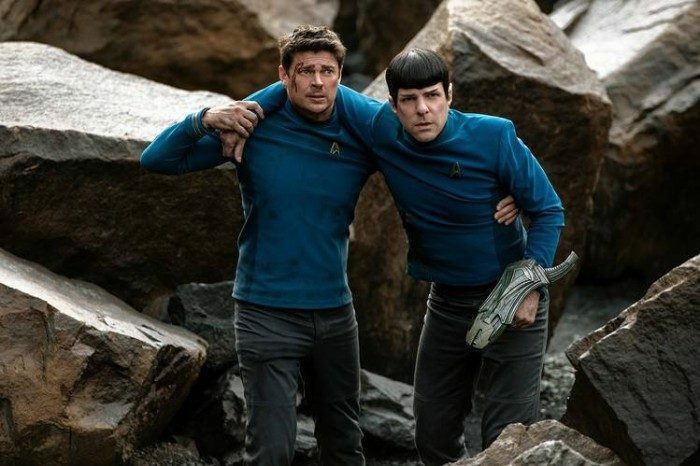 Zachary Quinto’s Spock and Karl Urban’s McCoy get to indulge in the classic recalcitrant repartee that was lacking in the last two films while Kirk scraps together a series of escape plans with Chekov, played masterfully by the late Anton Yelchin. 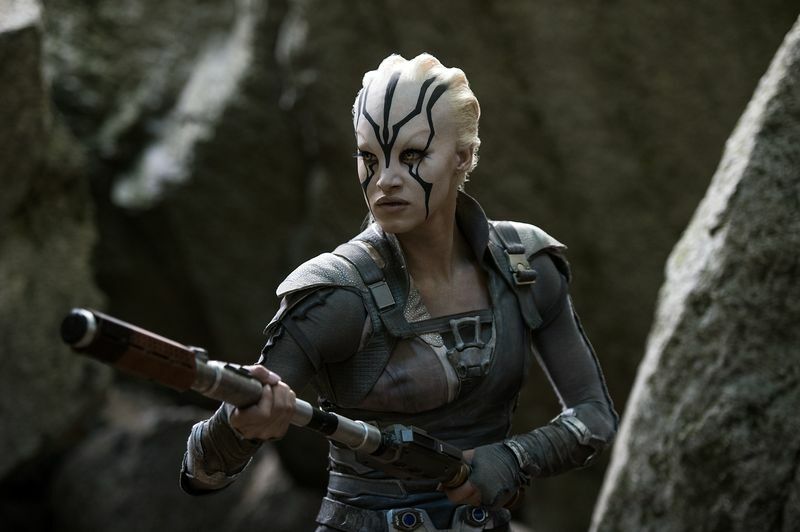 Pegg’s Scotty spends most of the film with Jaylah (Sofia Boutella, Kingsman) a stranded alien with a talent for tinkering and hand-to-hand combat. Justin Lin injects his unique brand of visual lunacy into Beyond, turning what is in many ways the most restrained of the Abrams Star Treks into a visually dazzling affair. Lin balances the more character-driven chapter with impressive set pieces that lead up to one of the most satisfying Star Trek finales. Lin brings Stephen F. Windon to the series, Lin’s cinematographer on the Fast and Furious films, and quite possibly the only man capable of capturing the insanity that Lin thinks up. The piece is enwrapped in a fantastic score by Michael Giacchino, whose music has become intrinsic to the series’ DNA. The pieces all work so well together that, after numerous reports of production difficulties that many felt spelled disaster for the film, it’s hard not to be impressed. There are going to be those who still feel that this isn’t a ‘real’ Star Trek movie and there are going to be those who feel it is derivative of earlier Star Trek narratives. Star Trek is the kind of franchise whose fans develop such a close relationship with, its impossible to satisfy everyone. That said, Star Trek Beyond is likely as close a film like this can get to threading the needle. It delivers solid action while staying true to both the characters and the franchise’s scientific and philosophical roots. It may not boldly go where no film has gone before, but even if Beyond doesn’t send the series in a new direction, it kicks it into a higher gear, and for now, that’s more than enough.